This letter is to anyone who can help me get involved in helping out in the Philippines. I have a great idea to get a hand full of people like me who are just stuck in the life and don't know what to do or how to do it, who have big hearts and the soul to help others in need. I moved to AZ 9 months ago to change myself and my quality of life. but since I have been here it seems I am just getting lonelier and more closed off. I have always loved people and being a helper/healer/listener. But maybe moving wasn't the answer, we have a great home and my bf of 5 years got a great job. but me, well I think of all theses great ideas and want to do something but I don't have the ummph to get off the sofa and try. I do love watching your show. you always say be kind to one another, so I want to do that. so here is my question. I wanna open up my home, myself, my love of people. Is there any way your show can do this but in a way of helping the people of the Philippines. I don't care what I do, go over there and help clean up, or staying here and doing something ANYTHING. I can offer 4 bedrooms with beds and 2 baths for people to stay at in their travels to and from the Philippines. Ellen I cant stop crying at every news report I watch and wonder how I can be so selfish in all the letters I wrote you about my needs. So now I want to give my whole self in helping anyway I can. Ellen Please see what you can come up with I WANT TO HELP in anyway I can. So please give this some thought and maybe we together can come up with a great show/DOC with even better results. I hope that I am not too late with this reply. 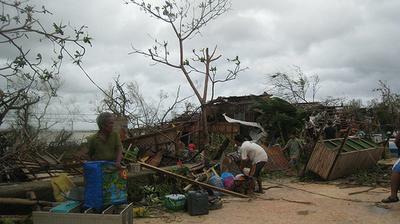 I am a Creative Producer who is planning on doing a documentary on the aftermath of the typhoon. It is amazing to have such a compassionate individual like you. Let me know if you are interested with a collaboration. I am a high school teacher here in the Philippines handling Media Arts, a special curriculum in our school. We are making short stories and documentaries for school viewing and school competitions. Thank you for your concern in our country. I am here and I really want to do something that may be of help to our people. I share your concern. Let me know how can i be of help. Thank you. Hello Bathsheba, Thanks for sharing your letter. We are all heartbroken by the devastation of the typhoon. It is true that when a big disaster hits such as the typhoon in the Philippines, we want to do something and as one person, it's hard to know WHAT to do. You have so eloquently expressed that in your letter, opened up your heart, which we greatly appreciate. We are intrigued by your idea of an "open source documentary". Can you elaborate a bit more on your idea? What are you envisioning?